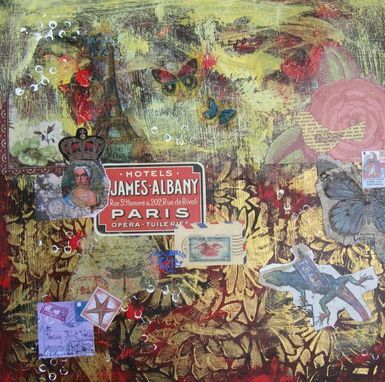 Everyone loves Paris and that is what inspired this original Mixed Media painting. 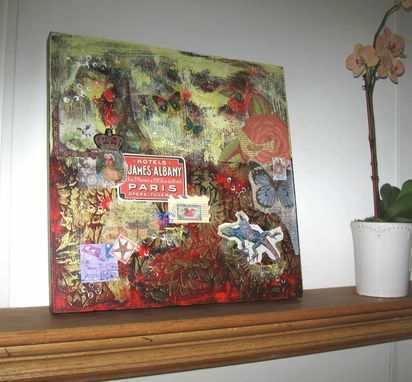 This listing is for an original mixed media, acrylic painting on canvas. 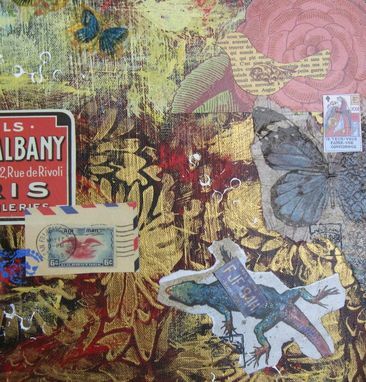 Acrylic paint is combined with several layers of textures and found, vintage like papers and mediums to create a painted collage effect. 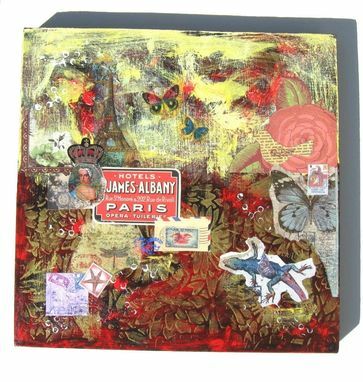 The painting has different elements, brought together by the metallic golds, and multiple brilliant colors of spring and Paris. Photos have been taken before varnishing and don't do the pieces justice. 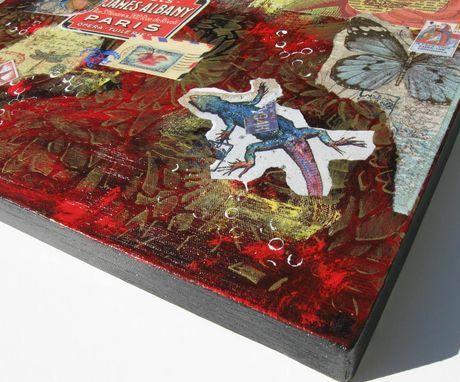 The varnishing will bring out the layers of colors and textures.